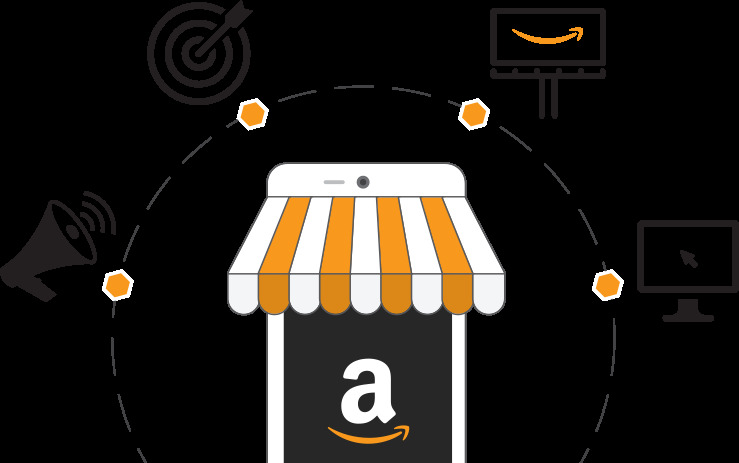 Amazon advertising, formerly known as AMS, is the perfect way to elevate your Amazon sales numbers and reach a brand new audience. There are 3 different ways to advertise on Amazon; Sponsored Product Ads, which show up at the top and bottom of product searches, Headline Search Ads, which show up at the very top of customer search page and Product Display Ads, these show up on the product detail page, near the ‘buy’ button and also on Kindle screensavers. Each ad is classed as a “campaign” where you can supply up to 1000 keywords and a maximum price of how much you are willing to spend on each ad and each click. You will have to compete with other advertisers to show the ad on the placement that you want. Keywords are extremely important in increasing your sales. For example, if you are selling a hand cream, you should include as many relevant words that relate to the product you’re selling. This may be hand cream, lotion, cream for dry hands etc. Tools such as Google Keyword Planner and ‘Helium 10’ can help you to identify relevant keywords with high search volumes, making it easier for you to understand what the customer is searching for. If you want to increase your ad discoverability, you will need to increase your bids. Remember that others are competing for the same spots as you are, therefore, getting to the top can sometimes be tricky. If you have never used Amazon Advertising, choose your bestselling product with great content and customer reviews to compete against other similar products. Reviews are an extremely important feature to Amazon as customers will frequently look at these. Firstly, Sponsored Product Ads use a pay-per-click (PPC), auction-based model. PPC is a model of Internet marketing in which marketers pay a fee for each time one of their ads is clicked on, this means you will only gain what you want by bidding on your keywords competitively. If your bid is lower than someone competing against you, their ad will replace yours and they are more likely to show at the top of the search results. Headline Search Ads are targeted by keywords and also operate on a pay-per-click (PPC), auction-based basis. On Amazon, these ads are found at the very top of your search result page and can include up to three ASINs as well as a company logo, along with 50 characters’ worth of marketing copy. Both headline search ads and sponsored product ads are based on keywords whereas Product Display Ads work differently. Whether you are a seller or a vendor, Amazon’s Product Display Ads are there to help you boost your sales numbers and increase the impression count. These ads can appear on yours, or your competitors’ product pages, below the bullet points, meaning that customers may be subject to a last-minute decision reevaluation, if your advertised product seems more attractive. Similar to Headline Search Ads, these type of ads allow you to customise images and marketing copy, making your ads more personal and giving you the chance to be creative. Product Display Ads are best used in affiliation with other campaigns to make them more visible and help you to achieve a higher clickthrough rate (CTR). Amazon Advertising is a key feature to help grow your business. Whether you are a seller or a vendor, you can help grow your Amazon sales numbers and increase your profits by advertising with these different types of ads. So, make your brand more noticeable, get creative, and start with Amazon Advertising now! Expert Edge can help you with all the things above if you don't have the time or resources to do it yourself. Our team is made up of former Amazon employees, vendors and sellers who have experience in doing this for multi-million dollar/pound brands as well as smaller startup brands. Contact us now to find out more about our Amazon Consulting services.